Hannah sports her annual Ugly Christmas Sweater for her Black Friday shopping! I flew to Florida for some R&R on the beach! I love going there because it’s an opportunity to really delve into the creative spaces in my head! For Thanksgiving Day, Andrew, the kids, and I drove to my sister’s house. We celebrated Thanksgiving together and it was wonderful! I am so lucky to have my sister live nearby & our children have so much fun playing together! I am very excited to be back at The Loft next week! This year for Thanksgiving I am very excited because my boyfriend’s family will celebrate with my family. We decided to do a small Thanksgiving with immediate family and everyone is bringing their favorite dish. Usually we spend the day watching football, playing games, drinking wine, and of course, eating all of the feel-good-foods! Whatever leftovers we have, I will bring to a “Friendsgiving” party Saturday night. All-in-all, it’s a great Thanksgiving weekend! This year my mother, grandmother, brother and his girlfriend will be going to my aunt and uncle’s house. This will be the first year in over 18 years that I have spent with that part of my family! I also have a tradition that when I answer my phone on Thanksgiving instead of saying, “Hello” I say, “Gobble Gobble”. I do this because that is how my dad used to answer when he would be making Thanksgiving dinner for our family. For the first time this year, my husband and I will be spending Thanksgiving Day together. In the past, we have always spent the day with each of our families, but now that we’re married we will be together! We are traveling to Kentucky with my mom, dad, sister, and brother to visit my aunts, uncles, and cousins. 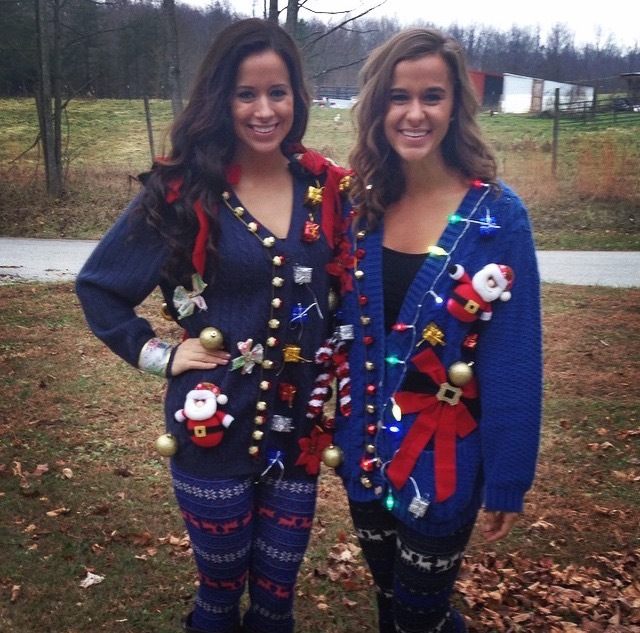 Then, my sister and I will put on our best “ugly” Christmas sweaters and go out into the madness during Black Friday! It’s a tradition that we have been doing since we were young. When Dr. Emery is out of the office, I am always still very busy! I write blogs and push things out to our social media avenues & I also try to work on other creative projects that Dr. Emery has for me to do! I positively LOVE Thanksgiving and my family is back in Ohio, so we drove 6 hours to get back home! We are lucky to have both sets of our parents in the same town to visit with! We were so fortunate to get to celebrate my husband’s grandmother’s 97th birthday as well! Then on Friday we always decorate the Christmas tree at my parent’s house. Good fun & loads of tradition!